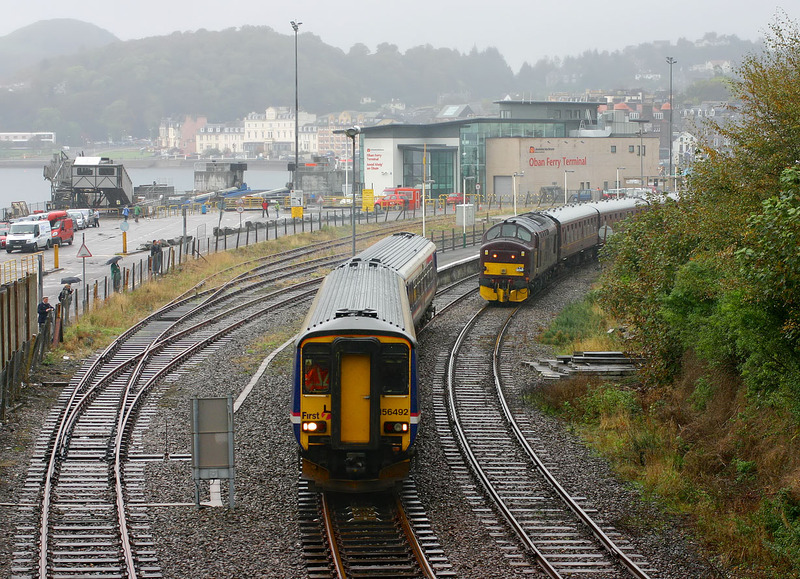 156492 leaves Oban in the rain on 6 October 2007 with the 12:11 ScotRail service to Glasgow Queen Street. Waiting in the siding is 37248 with the stock for the 1Z74 16:45 Oban to Dundee SRPS railtour. This would leave behind the even more impressive 55022 Royal Scots Grey.